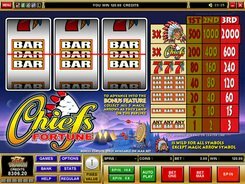 Developed by Microgaming, the 3-reel 1-line Chiefs Fortune slot will transport you back to the American Wild West where you can meet a wise Indian chief and try your luck in hitting a jackpot. 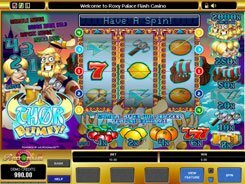 The paytable located to the right of the reels includes seven winning combinations that can be theoretically produced after every spin. 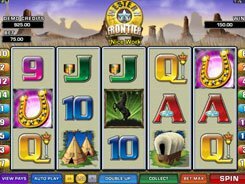 You get a win depending on a value of the combination that has landed on the payline. You can stake one, two or three coins per spin. A coin denomination is fixed at a one-dollar value. So the top bet per spin amounts to $3. 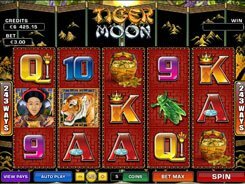 The maximum jackpot payout is 2000 coins awarded for three Chief symbols displayed on the payline. The Chief symbol is a wild that can stand in for other regular symbols. 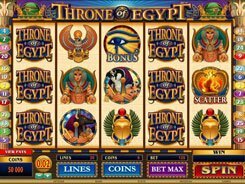 The slot has a bonus feature activated after you have amassed five arrows. 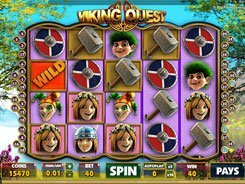 The Magic Arrow icon occurring on reel 3 only does not bring you any winnings, but it is stored till you collect 5 of them. In the bonus game you will have to dress the Indian chief for the rain dance ceremony. When the bonus feature is over, your bonus wins will be automatically added to your total balance.